There are two rings, which stack beautifully together. 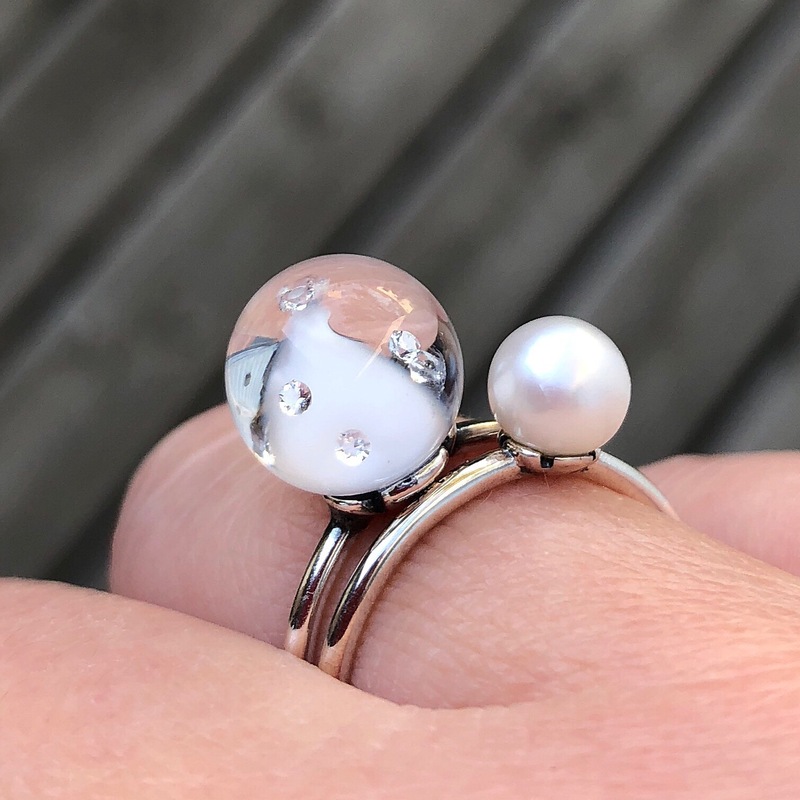 Delicate Pearl Ring and Snow Bubble Ring, $91 USD/$121 CAD each, designed by Lise Aagaard. Delicate Pearl Ring-Ring with a delicate, white freshwater pearl in petals of silver. The white pearl is a symbol of beauty, purity and innocence. Snow Bubble Ring-A snowflake never falls in the wrong place. The limited edition glass kit is called Winter Forest Kit ($276 USD/$317.50 CAD). It’s designed by Tenzin Phuntsok and Kalden Chophel. Love melts a frozen heart. 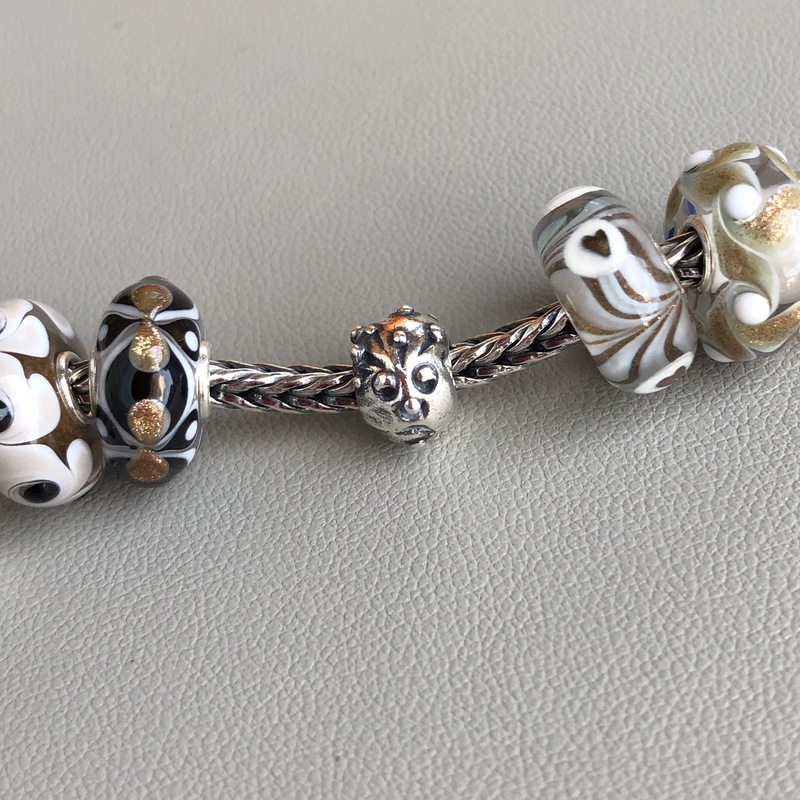 Søren Nielsen designed four silver beads this season. The most interesting one is called Curious Critter ($46 USD/$61 CAD). Never lose your sense of wonder. Here is a video so you can see all sides. 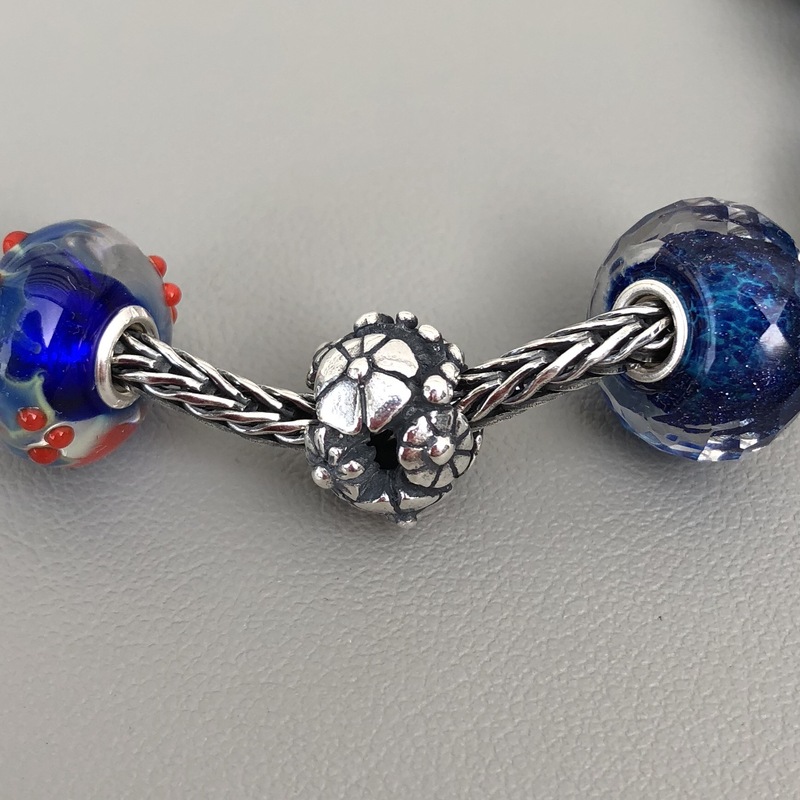 Today I’ve put the silver beads with glass beads so it’s easier to see the size. 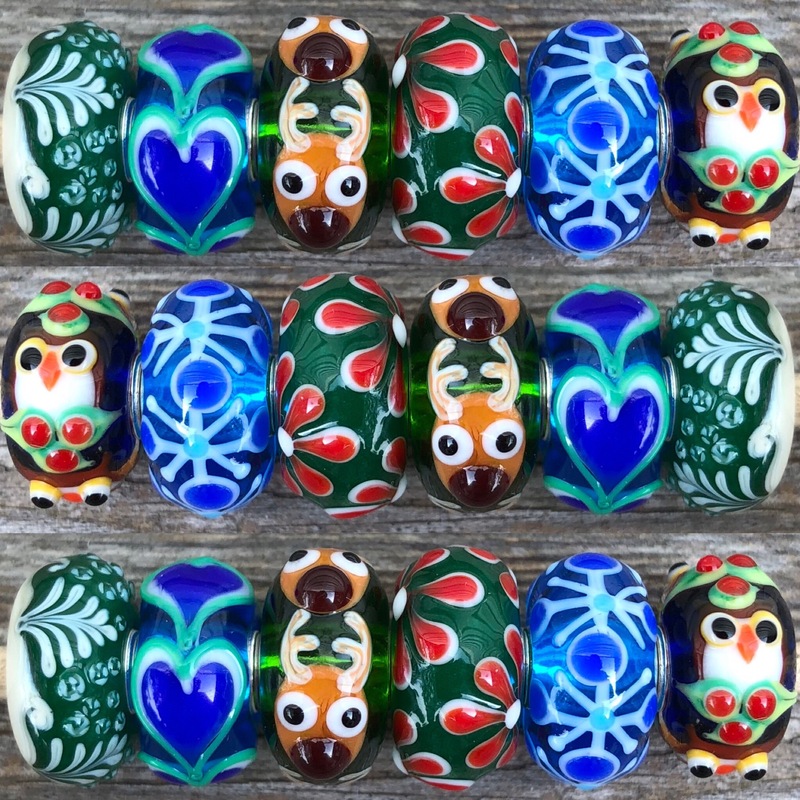 The next bead is Abundance, at $56 USD/$74 CAD. Be astounded by the plenitude of nature. Endless Impact is $31 USD/$41 CAD. Every day in every way we make an impact. Momentum is the largest of the Nielsen beads and is $63 USD/$83 CAD. To keep the force of movement you have to keep going. 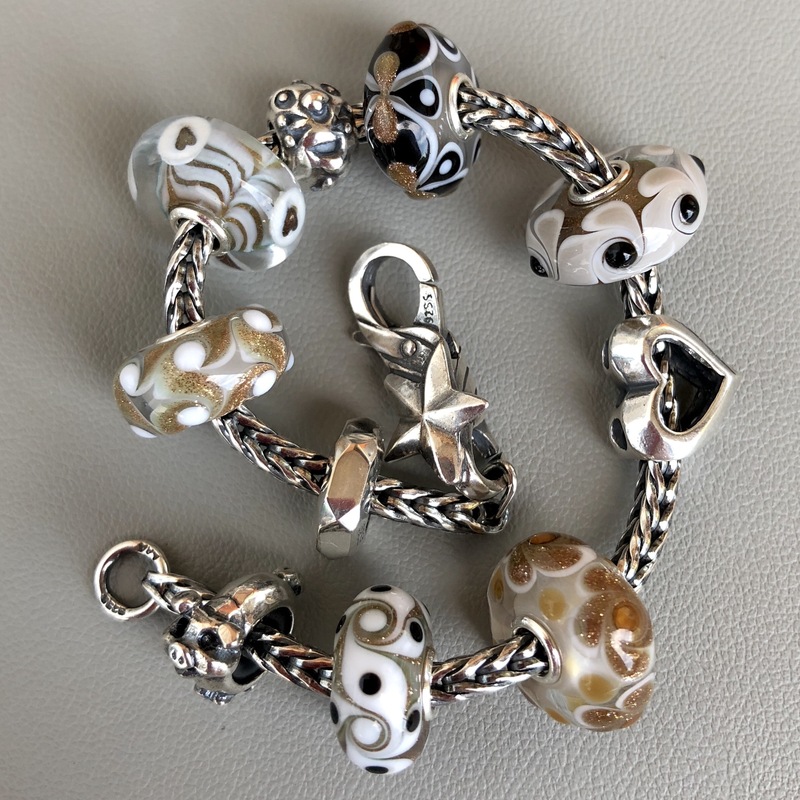 There are two silver beads designed by Louise Rimpler. Both can be used as splitters for a Fantasy Necklace and are $31 USD/$41 CAD. This is Guiding Star. Be guided by the stars and followed by the angels. Louise Rimpler also designed three new spacers. Each one costs $46 USD/$61 CAD. Nut Spacer. Be the one to hold everything together. Generous Piglet. To give is to receive. The feet are little hearts! Grateful Turkey. Eat, drink and be thankful. 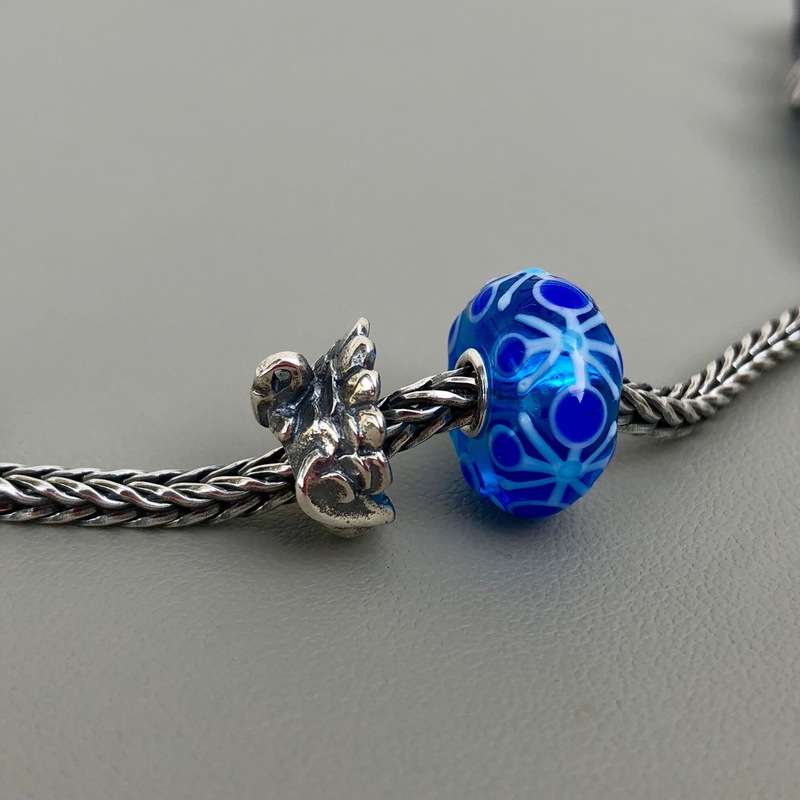 There is a new pendant that is meant for the Changeable Fantasy Necklace. It’s called Wish Pendant and is $70 USD/$80.50 CAD. Keep on wishing. Keep on dreaming. And always believe in the miracle. There is a new Gold Plated Neck Bangle (not pictured) and a Twisted Gold Plated Bangle, costing $210 USD/$241.50 CAD). Two themes of kits of Uniques ($230 USD/$264.50 CAD) will also be sold. One theme is Christmas Glitter. 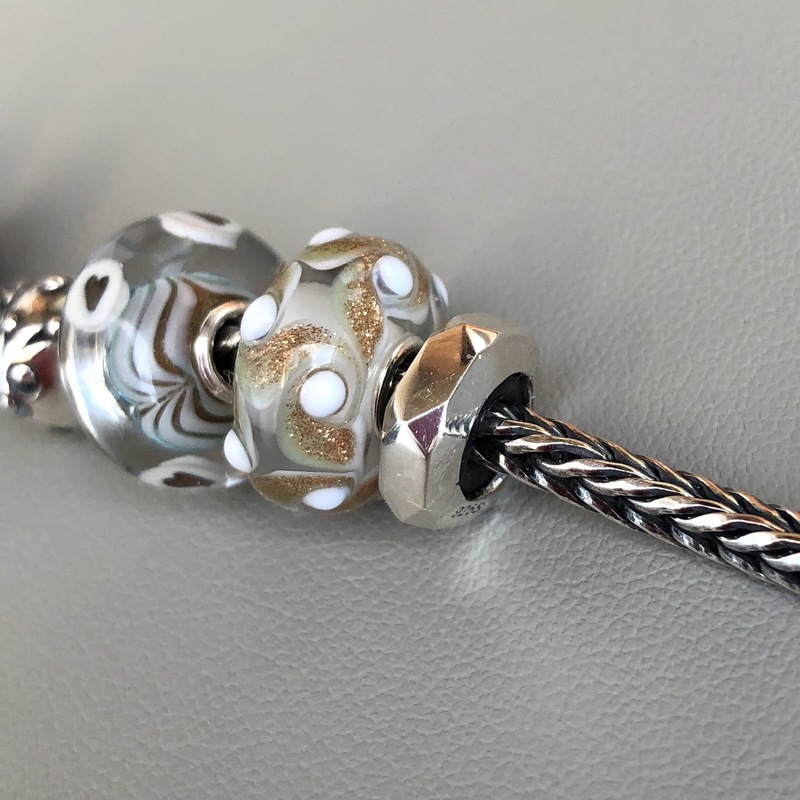 Elegant and sophisticated Uniques with glitter to celebrate Christmas-and no two beads are the same. Here is an example. The other theme is Colorful Christmas. 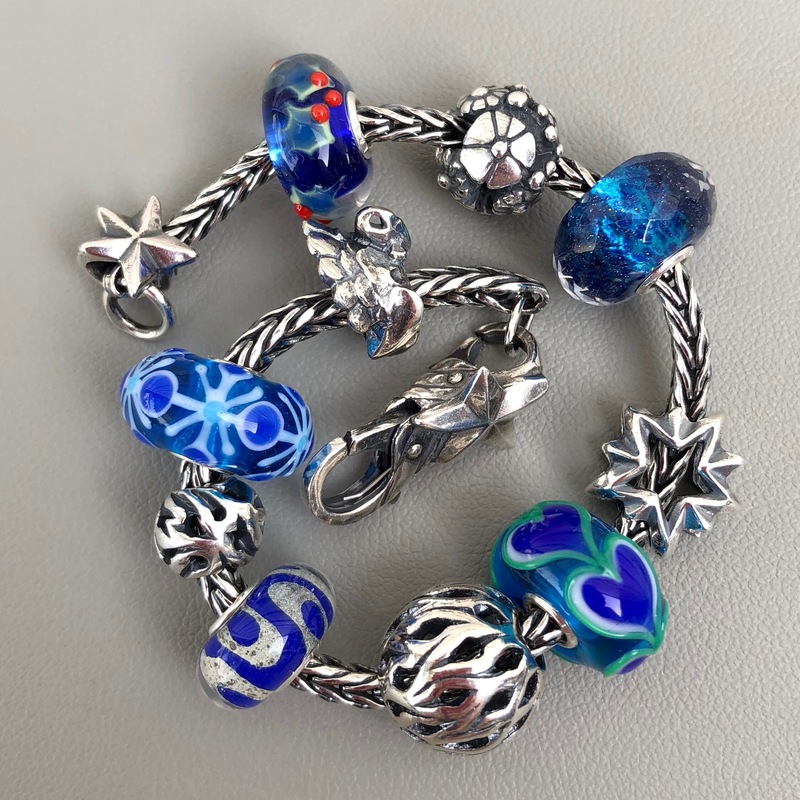 Here I’ve used some of the beads with the blue bead from the Wishful Sky Bracelet and two from the Winter Forest Kit. 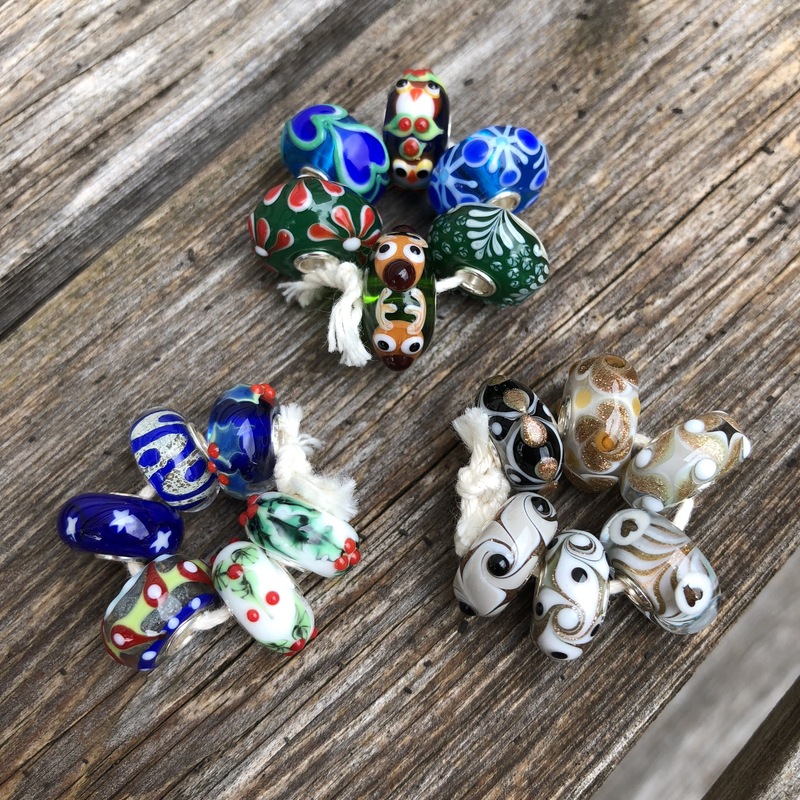 Uniques in joyful colors to celebrate Christmas-and no two beads are the same. All three glass kits together are so beautiful! 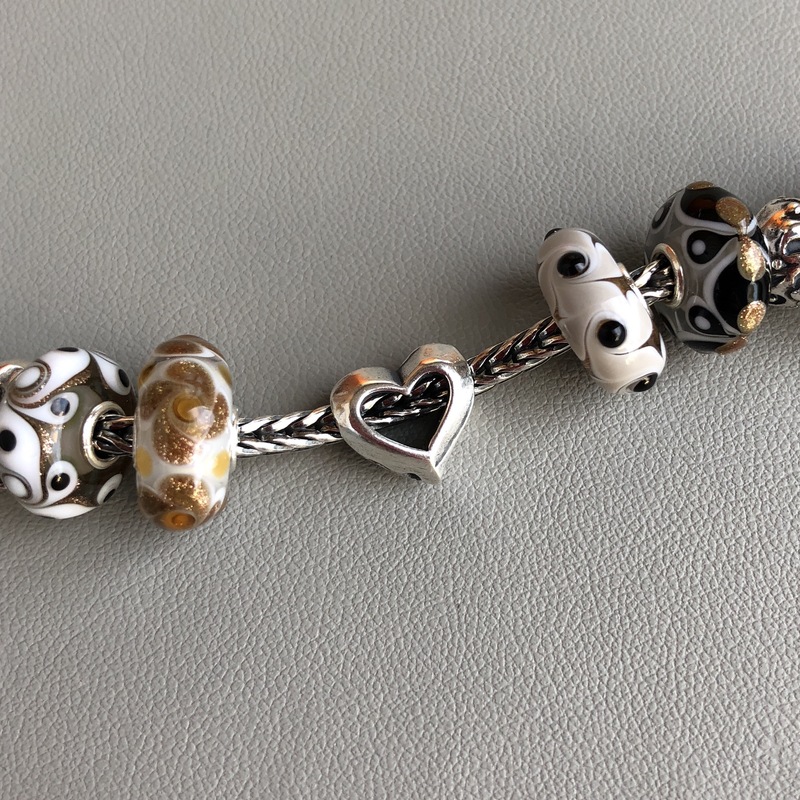 Here is a bracelet made with some of the new beads. I also really love the gold with some beads from the Christmas Glitter Kit and a couple of pearls plus a Black Onyx. I know we haven’t even had Hallowe’en yet, but the retail world is on a different schedule than the rest of us. All the cosmetics companies have their gift sets out and the stores are beginning to get busy! I hope you’ve enjoyed this look at the new collection! 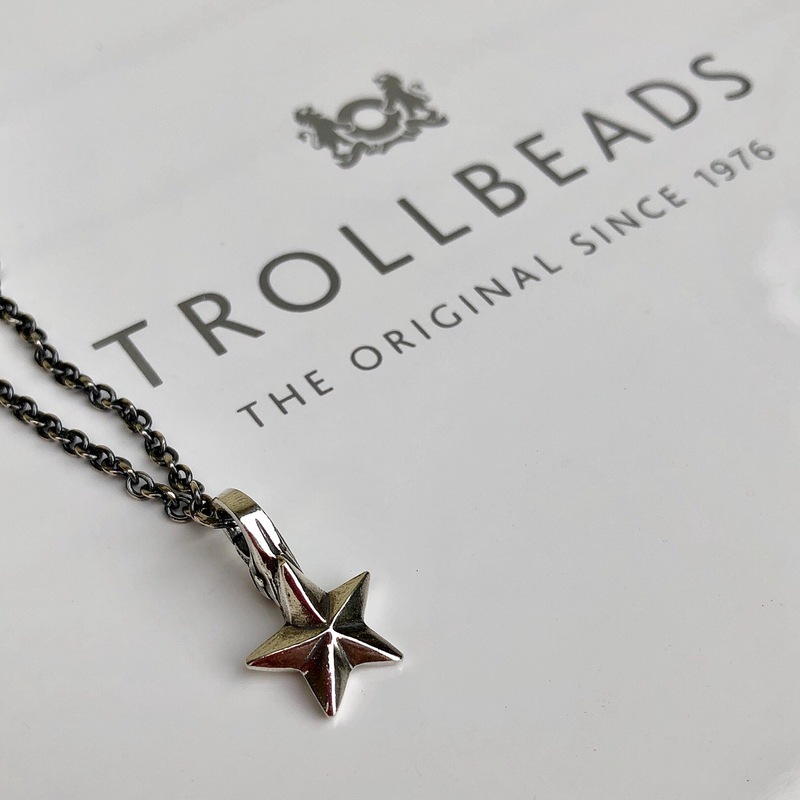 I think the Wishful Sky Bracelet is going to be a big hit and I’m curious what other pieces people are interested in. 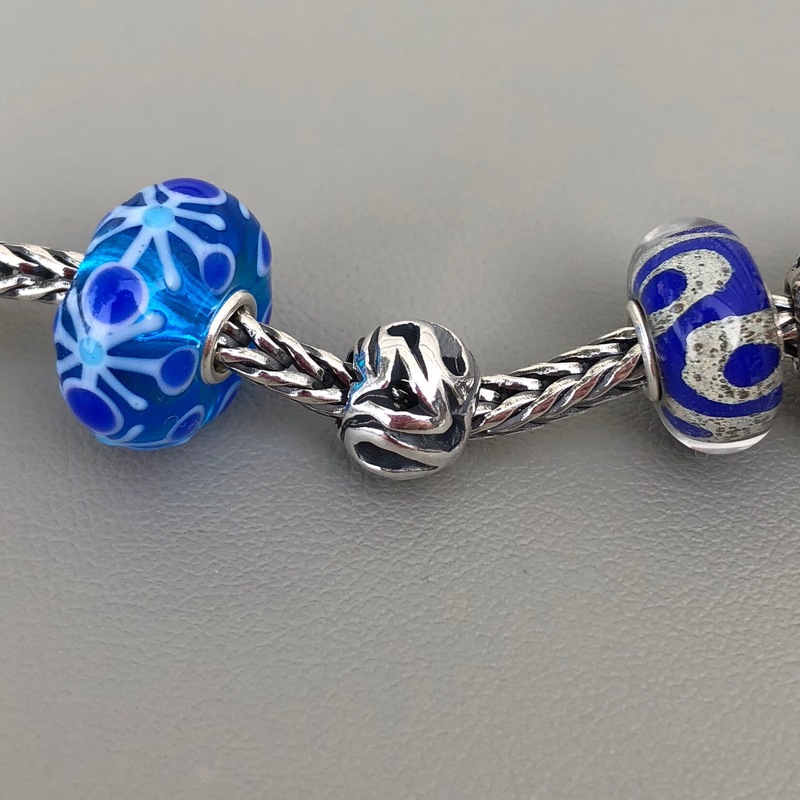 I hope Trollbeads keeps making pendants for the Changeable Fantasy Necklace because it is really awesome! I bought the Soft Wind of Change Pendant to go with it while waiting for the Wish Pendant and it is really neat how you can just clip the pendant on. Thanks for reading and have a great weekend! Hi Martha! This was a nice surprise getting a post tonight from you. It’s a little overwhelming to see the entire collection at once….so much goodness. I’ll need to take my time to look at everything. 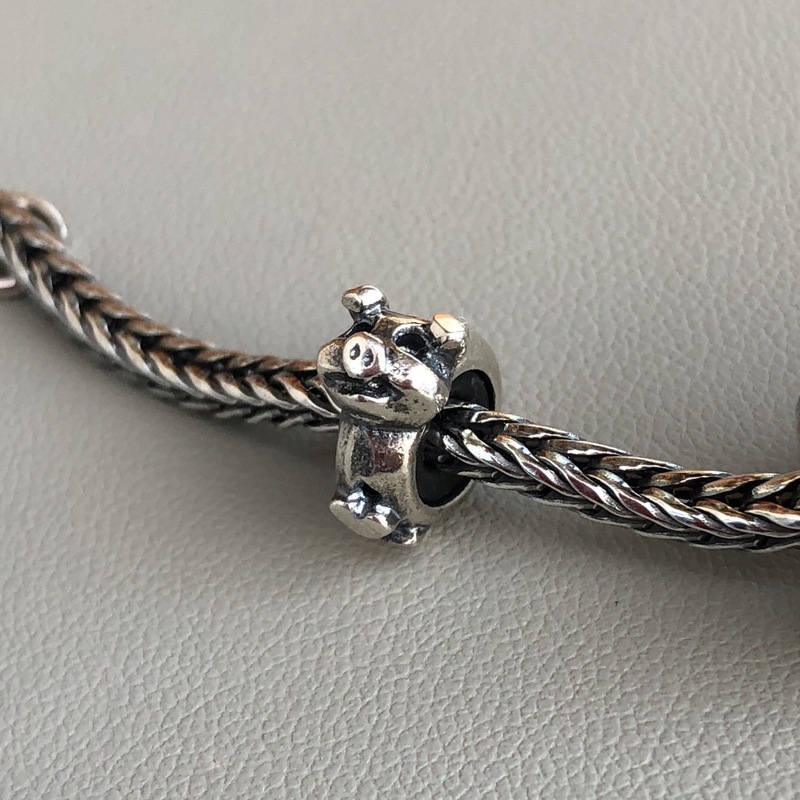 Wishful Sky bracelet is still #1. 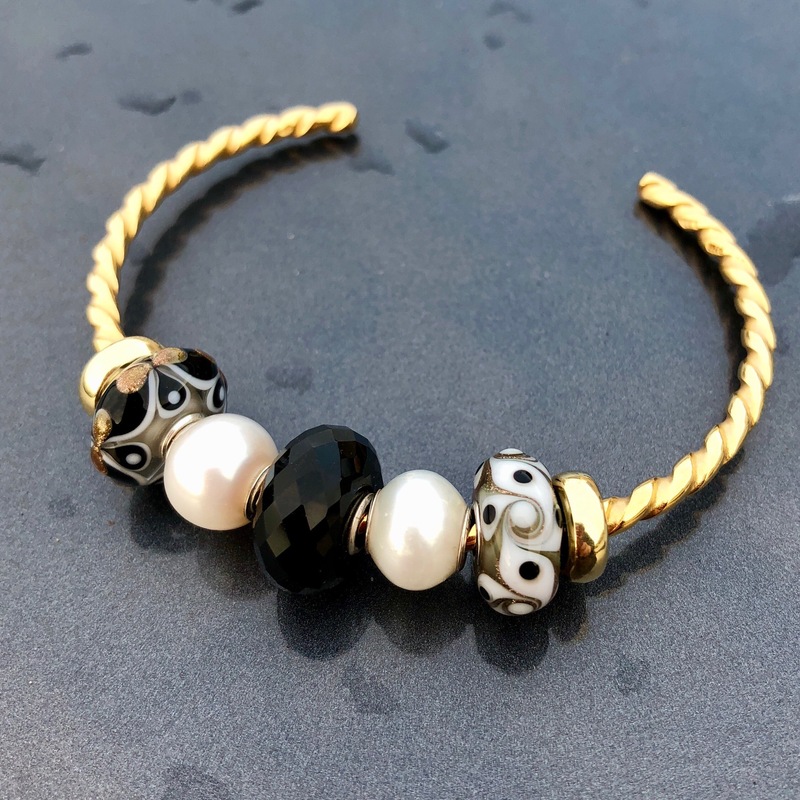 The “grand prize” for your combinations tonight has to go to the gold twisted bangle with the Black Onyx and the pearls…absolutely beautiful!!! Hi Suzanne! I’ve had this finished for a few days and tonight noticed that at least one European store has started selling the pieces (pre-order) so thought I might as well publish it. I’m happy you liked the bangle as I was super pleased with that one! It’s so elegant but I wore it to work anyway! However, I think it would be lovely for an evening out. I think Wishful Sky is going to be so popular! The Curious Critter might be popular too, as I noticed the video of it has over 2300 views on Instagram which is way more than my videos would usually get. Let me know if anything else catches your fancy later on! 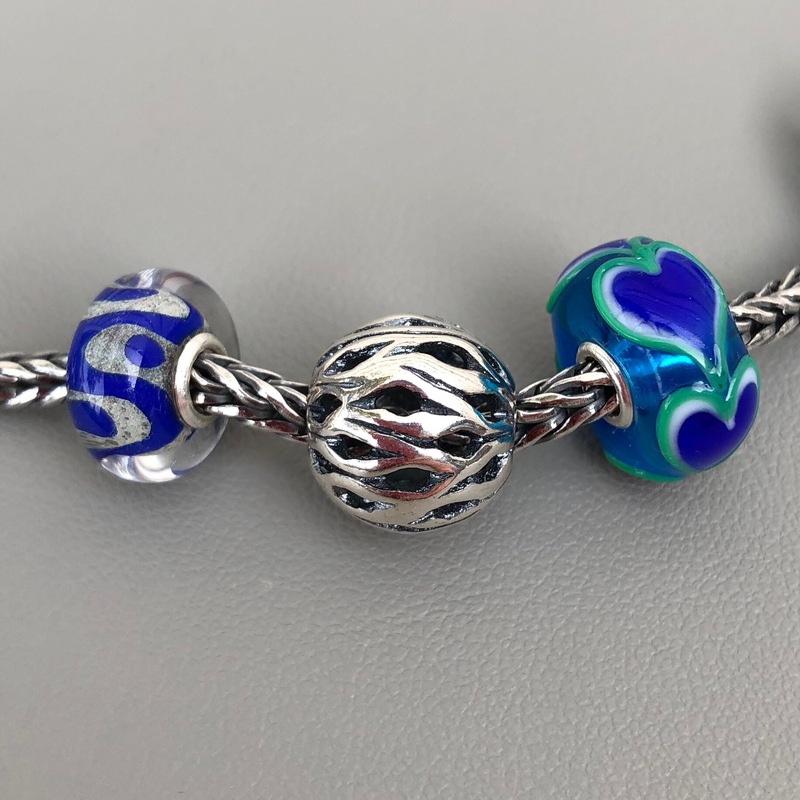 I absolutely LOVE the first bracelet you made using a few blues from each kit. Unfortunately, there are about two or three from each of the three glass kits that I love, which obviously would be way out of my price range. 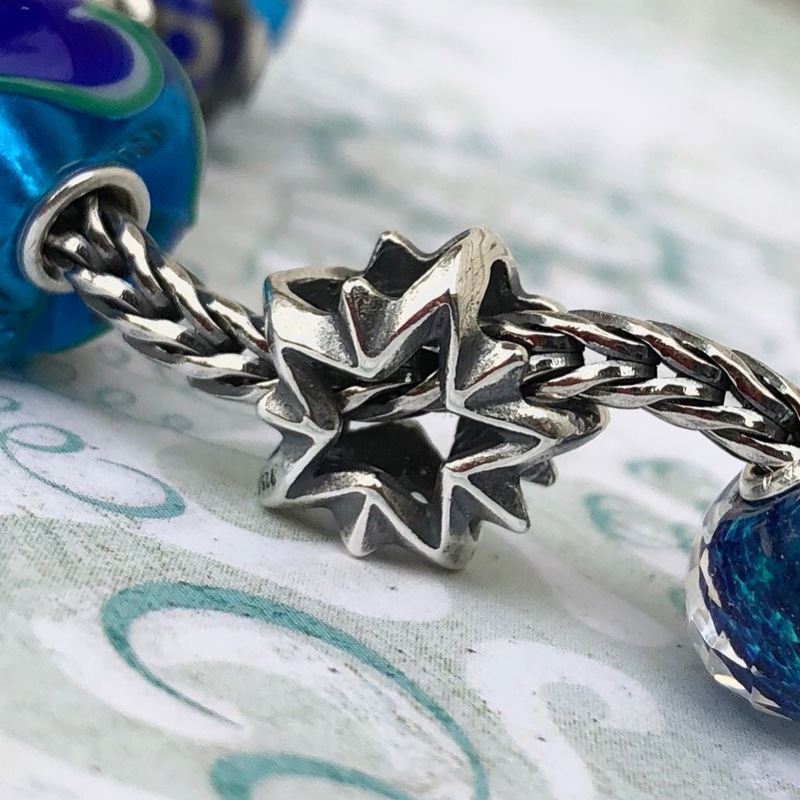 😕 The Wishful Sky bracelet goes without saying, and I really like the blue holly unique as well as both blues and the green and white bead from the winter forest kit (hard with no names). The white glitter uniques of course are reminiscent of last year’s Christmas kit, which I missed out on, so they will be tempting too. And those silvers! Loving all the abstract designs, especially the smaller pieces. Maybe I’m just an enthusiastic newer collector, but there definitely seems like so much to choose from! Wish the glass from the kits could be sold separately though. I will need to start selling a few of my Ohm on the black market if I want to afford everything I want here (joking) 😉. Thanks for the great review! I too love that gold bangle and you outdid yourself accenting it with the onyx and pearls. 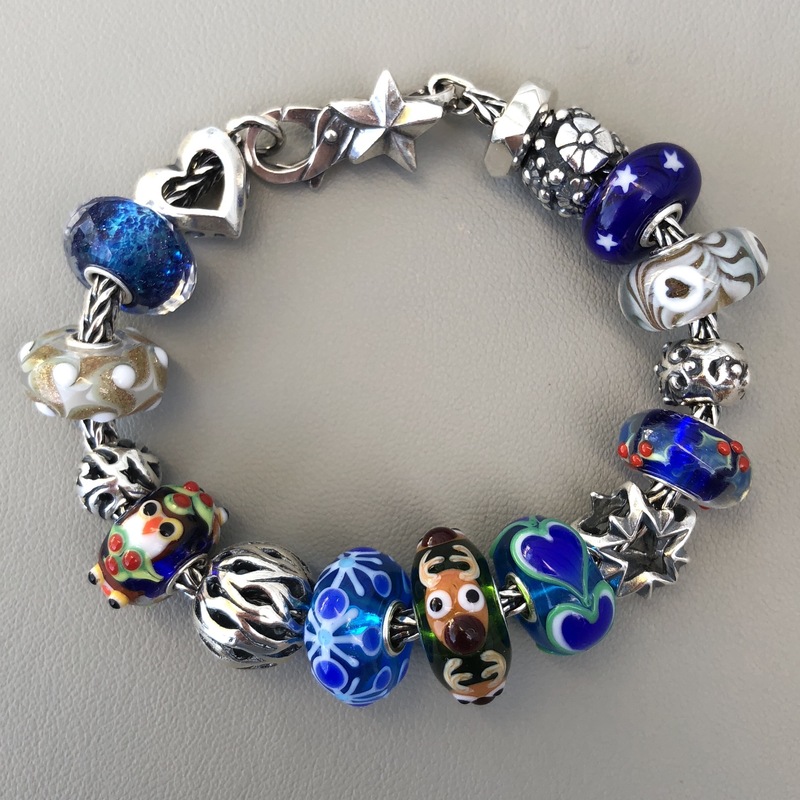 But it’s also especially beautiful with the blue glass from the wishful sky bracelet. 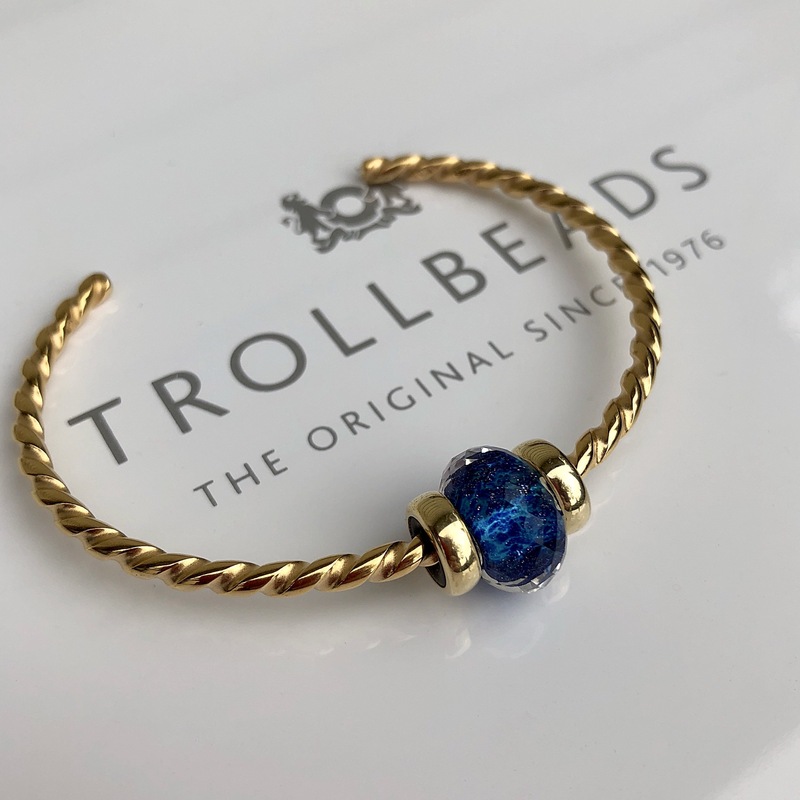 I think the bangle will be my wishlist item, thanks to you! 😉 The entire collection is lovely. Even though I’m not in a Christmas mood yet, this post is so exciting. I’m still working on adding the Autumn pieces to my collection, but am ready to ditch that for the next! I really like all the glass kits, but the Winter Forest one is lovely! It looks like you had great fun with all of these stylings, too. 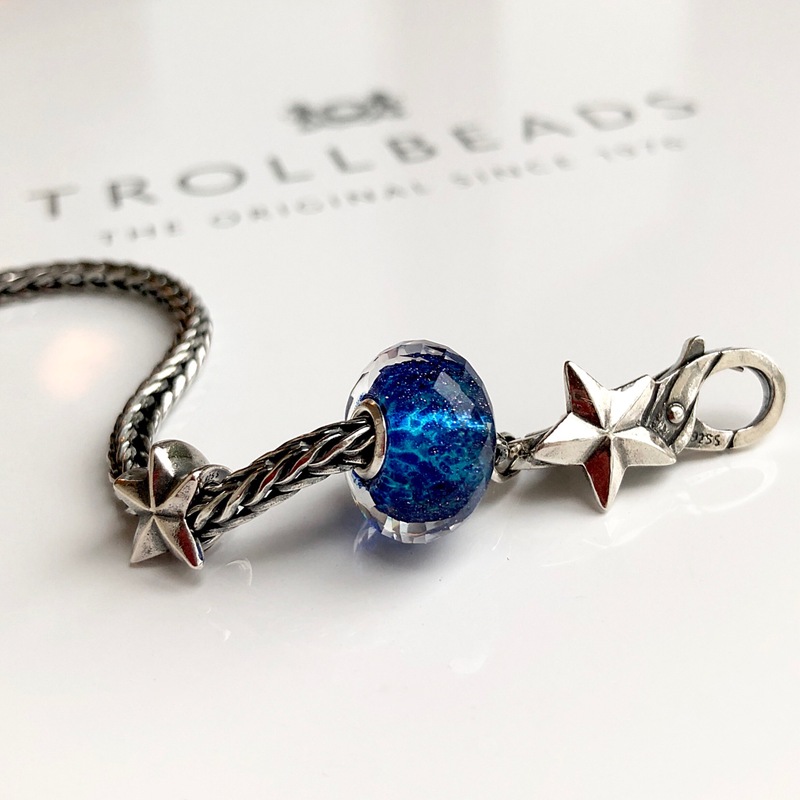 I’m stopping at my “local” Trollbeads store on my way to Montreal tomorrow, so will try to control myself so that I can also get some new winter pieces when they are released! Thanks for another beautiful post, Martha, truly. Sarah, I can’t wait to see what you buy tomorrow as I already love what you picked out last time. The autumn release certainly is so strong and large, too, so there is a lot competing for people’s wallets. I think the nice thing about this winter collection is that a lot of it will be so useful even after Christmas, especially the silver pieces. Have safe and enjoyable drive to Montreal!